July is a ‘plastic free’ month and for that reason, you may have seen posters and campaigns promoting the reduction of plastic use. Wonder why plastic use should be reduced and what does it have to do with living cruelty-free? Because taking care of the environment means taking care of animals. It might have never crossed you mind, that your daily shopping choices affect animal welfare but let me tell you, they do. We pay for incredible amounts of plastic that we buy and toss in the bin straight away. Not only do we pollute the environment, we also waste our money. This is the most obvious point of all and I can’t emphasize enough how many plastic bags we are wasting. One plastic bag can take even 1000 years to decompose into landfill. They often end up in waters where mistaken by jelly fish, end up as food to sea animals. We can say no to this using reusable carrier bags made of cotton and other more eco friendly materials. If you already have plastic bags, reuse them. Majority of the ‘on the go’ drinks and cleaning products are bottled in plastic because it’s cheap and light. According to Guardian, we produce 20 000 plastic bottles per second globally of which less than a half is actually recycled and only 7% are turned into new bottles. The rest ends up in landfills and oceans and can take around 450 years to decompose. The sad fact is, the numbers of bottles being produced are growing and it is expected that by 2050, the oceans will contain more plastic than fish! Reduce your plastic bottle use and invest in glass water bottles. Domestic water filters are a great solution too. Cleaning products can be refilled using reusable containers, packed in cardboard boxes. You can make your own detergents at home too. The little devils we don’t often talk about and I never thought about until I saw a video of a guy remove a plastic straw from the nostril of a sea turtle. Sadly, plastic straws are often not recyclable due to the type of plastic they are made of and if they are recycled, they are often lost on the way due to the size. Why do we need them so much anyway? If you stick to the advice of replacing your toothbrush every 3 months, you toss around 300 toothbrushes in your lifetime. How many of your tooth utensils so far have been recycled? They are often made of a mixture of plastic, rubber, cardboard and crude oil and take over 400 years to decompose. Not to mention the chemicals released to the environment by batteries from electric toothbrushes which can be deadly to animals. Don’t worry, I’m not saying you should stop brushing your teeth. Use zero waste tooth brushes such as these made of bamboo and charcoal. It’s that simple. You may have heard of a ban of microbeads in certain countries earlier in 2018. These little plastic grains are often used in personal care products as exfoliators which are washed down the drain. Because they are so tiny, they are not filtered though sewage and end up in sea. Forever. This means that microbeads end up in our food chain too when consumed by sea life. When buying hygiene products such as scrubs or soaps that contain exfoliating beads, ensure they are not made of plastic. Fruit and vegetables wrapped in plastic foil literally drive me mad on my weekly grocery shop because it’s the most pointless type of packaging ever. We really don’t need broccoli and cucumbers to be individually wrapped and each piece of fruit to have a sticker on. Luckily, a lot of people seem to be annoyed by this too as there is a petition going around in the UK to urge supermarkets to stop wrapping raw veg and fruit in plastic. Click to sign. For a grocery shop, go to farmers market where you can use your cotton bags or baskets and reject all the packaging. In supermarkets, choose the loose vegetables and don’t wrap unnecessarily. Annually, we bin 6 million tonnes of plastic spoons, forks, stirrers etc. If they are not recycled, the will take decades to decompose and will eventually end up in oceans poisoning the marine life. Consequently, poisoning our lives too. We can use wooden single use utensils instead which are a lot more eco friendly. If you have a choice between forks or chopsticks, choose chopsticks as in most cases they are in fact wooden. You can carry your own reusable cutlery if you eat take out quite often. We don’t often think about plastic use in cosmetics but in preparation for my next article, I have collected a lot of empty cosmetic containers and that made me realize how much plastic I use for hygiene. Shower gels, face washes, creams, foundations, lotions, eye shadow containers, you name it. Most of these products are packaged in plastic. There are companies that value the zero waste approach very highly and stray from plastic waste. Lush for example has a great selection of solid shampoos, conditioners, and even make up. Other companies such as 100% pure only use recycled plastic to package their products. To avoid unnecessary plastic however, look out for products available in glass, steel or cardboard containers. Plastic is often recyclable but is not in fact being recycled. Ensure you separate your household litter and recycle correctly. Dispose of old batteries, light bulbs and empty ink cartridges suitably. There are often collection points in super markets. Don’t litter, use the bins on the street. When you’re on the beach or in the forest and you see rubbish on your way, don’t be blind. Pick it up, and put int the bin. Be the smart one, perhaps you’ve just prevented an animal from getting hurt. 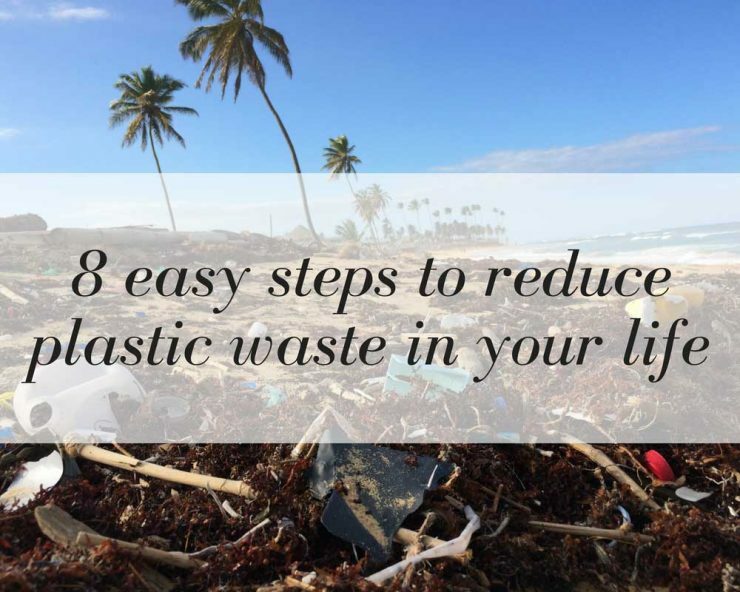 I try to follow most of those ways to reduce plastic waste in my life but microbeads were a total surprise for me. Luckily, I stopped using scrubs some time ago and only make them myself, with help of grained coffee… but still, that’s something I haven’t thought about before. Homemade cosmetics are the best! 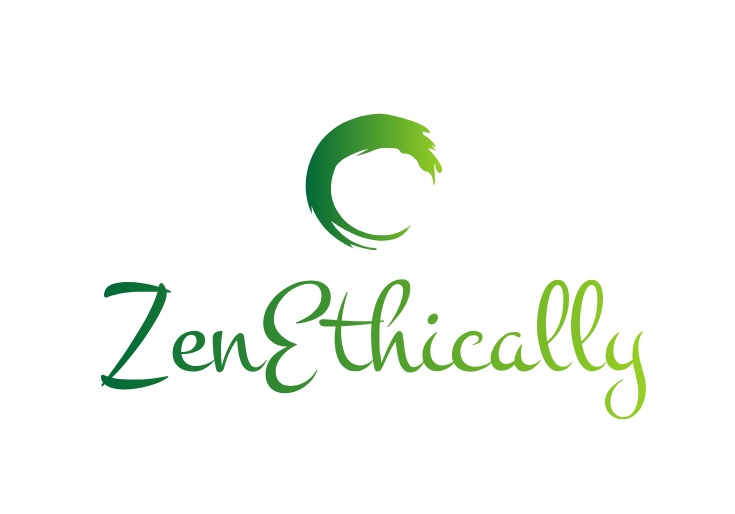 Zero waste, cruelty-free and economic. I need to start making them again.